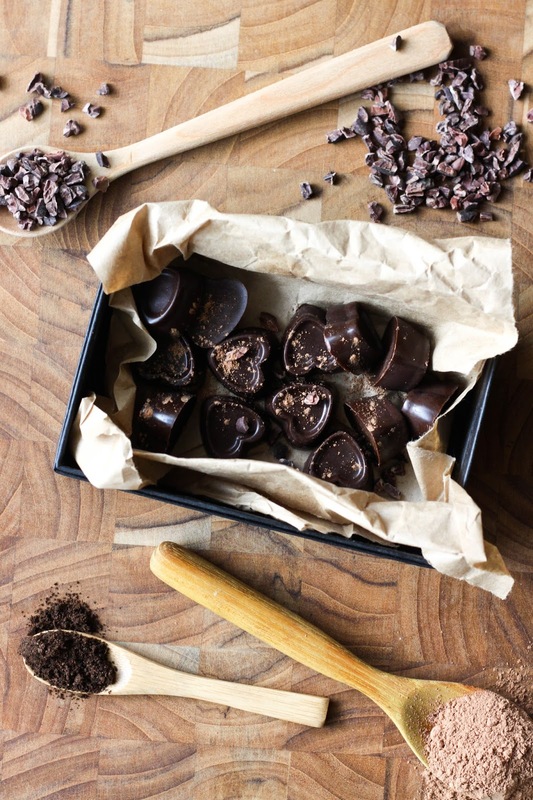 This Rawsome Vegan Life: ALOHA, SUPERFOOD CHOCOLATES! 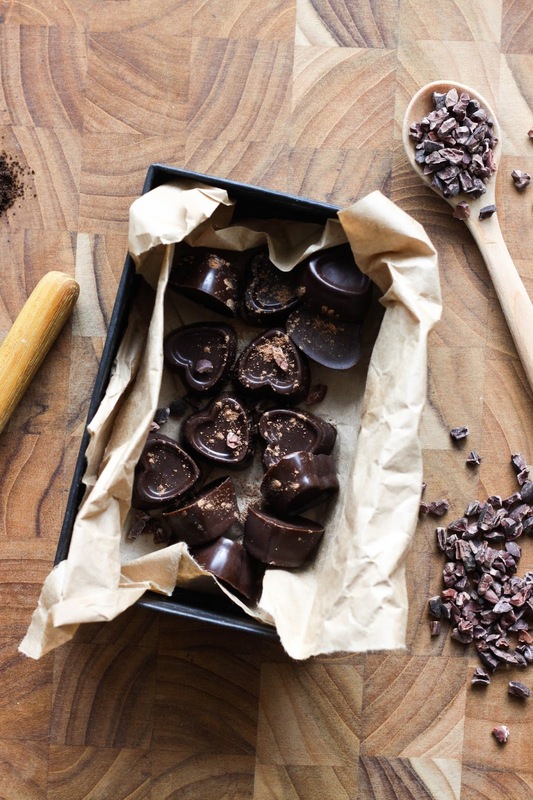 This recipe was inspired by Aloha's superfood chocolate bar. Their chocolate is some of the best I have ever put in my mouth, so I HAD to recreate it in my kitchen. I think the superior taste must come from the magical ingredients - spirulina, mushrooms, berries, coconut, cashews, vanilla - that develop this ridiculously satisfying flavour. It just tastes... real. 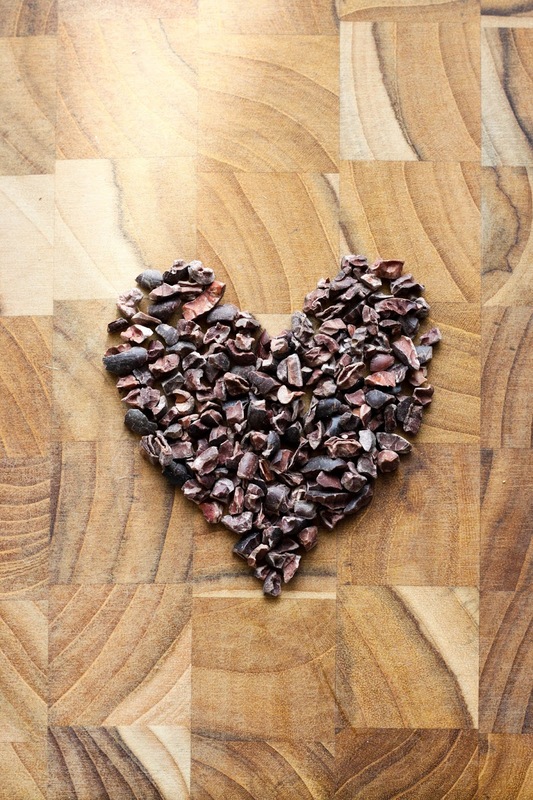 It's like a vitamin pill in the form of decadent, sweet, dark chocolate. Share these with the ones you love, because it'll give 'em long life and good vibes. Although I am a passionate advocate for eating whole foods and believe the ideal diet for most of us is a diet based around whole plant foods, I also can't help appreciating super food powders. In today's world - where the air, soil and water are polluted no matter where you live (depressing but true) - it's more important than ever to nourish our bodies with the most highly nutrient-dense foods available. Is it "natural" to take spirulina from the ocean, dehydrate into a smooth powder and then drink it in a smoothie? Is it wrong if its not in its whole form? First of all: what the hell is natural? Anything that happens in nature, without the intervention of humans? That is a ridiculous definition because humans are part of nature; we are organic mammals that have evolved over time and on earth and we are not inherently separate from the 'natural' environment in any way. So in a very real sense, everything is natural, because it IS. Also, I dunno about you, but I tend to think about early homo sapiens as being super healthy, because ALL their food was organic and wild (duh) and they were running and walking around all day, everyday. But this is a silly thing to believe. Yes they were constantly moving, yes all their food was wild and organic, but were they super healthy? No! The archaelogical data shows that it was the norm for these folks to be malnourished and nutrient deficient. So let's forget this ideology about living exactly like our ancestors - they didn't get enough food! Having said that, I do think it's paramountly important to study the diets of earlier humans to understand the foods our bodies have adapted for, that is, lots of cooked and raw plants and a little bit of meat. Apparently we have been eating meat for as long as we have been cooking our food... and that's a REALLY long time. NOW DON'T FREAK OUT. I am not saying we should eat meat. There is no need, because of agricultural improvements we can get all our calories and nutrition from plants today. End of story. The question we SHOULD be asking about super food powders is not if they are natural, but if they are good for us. I think they are. Their nutrition is concentrated in an easy-to-digest form, and can give us the vitamins and minerals we need to function optimally everyday in just a few minutes. Most brands that sell super food powders use organic, fairly-traded and sustainably-harvested ingredients, so no one gets hurt. Yes, they can cost quite a bit so if you can't afford 'em - don't sweat it. Just try to eat a large amount and variety of colourful veggies, fresh and dried fruits, nuts, seeds, beans and grains everyday. But if things like cacao, wheatgrass and goji berries are in your budget, I would definitely recommending trying them out. Not only are they fun to use, they make you feel great. Although I eat a mostly organic, whole foods, vegan diet with plenty of water - I still like to be sure I get EVERYTHING I need from my food, so every few days I add some super food powders to my smoothie, or have a treat like this chocolate. Since these powders are dehydrated, it's a good idea to consume them with a tall glass of water to balance out. In any case, we can all agree that plants are awesome and everyone should be eating more of them. Melt the cacao butter in a pot on low heat, then take off the stove and gently whisk in the rest of the ingredients. 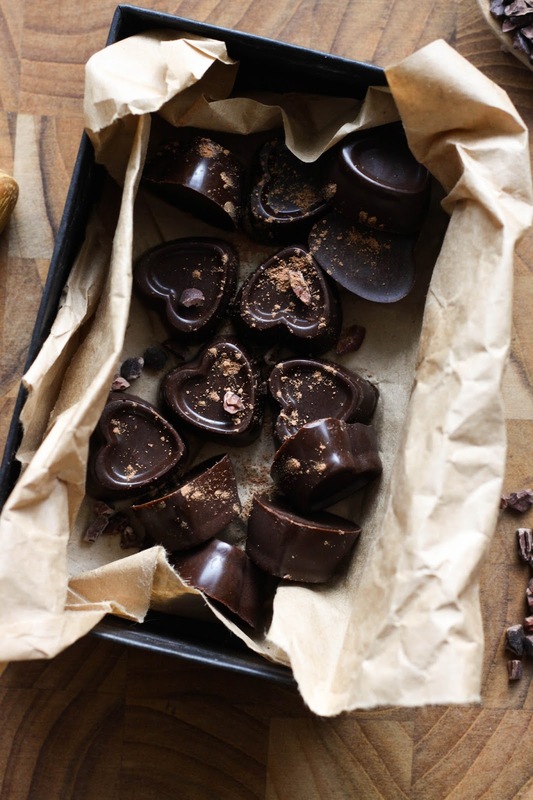 Pour into chocolate molds or cupcake papers. Put in the freezer until solid. I like to eat mine dipped in almond butter. This is partially true about earlier civilization. The only source of heating in the cold nights was the firewood and they are a source of polycyclic aromatic hydrocarbons, molecules that are reactive oxygen species. The other issue is food storage and not the lack of finding good food. The inca civilization were able to withstand shortages using freeze-dried techniques. Thanks for the information about powders in smoothies! I've been curious about using powders in my smoothies, but I haven't done it yet. I guess because I don't know if the powder is the best bet, or just going for the food version. Obviously food is better than any powder, but since eating veggies is hard for me, it could be an option. Having it an option even in chocolate is pretty cool too! 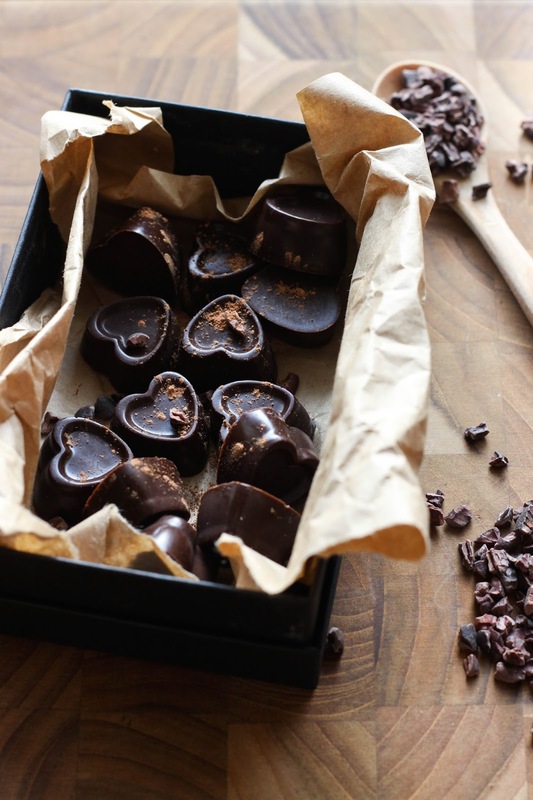 Those chocolate hearts look so good! I tried your one recipe, which was homemade chocolate with dates. It was good, but so rich! A little too rich. But it was easy! I think about what i said today and concluded that hunter-gatherers where more healthy than us because the pollution levels today around the world are at outrageous high level and the future generations will have hundreds of years of cleaning. Currently living in Ecuador and not sure I'll be able to get my hands on all these ingredients... But I'll try it with the substitutions. I love your other chocolate recipe, I mix it with peanut butter to pour over banana ice cream and its AMAZING. Also agree with your thoughts on super foods/powders, I'd rather get my nutrients from whole foods but it's better to be safe than sorry. just wondering what brand of cacao powder you use. I use Navitas organic cacao powder but recently found out it was high in cadmium. Can you recommend a brand? love how these hearts look. Do you happen to know where I can buy such forms? IS it possible to make this without the Aloha packet and try it with just the ginger powder, maybe some other kind of spice? Will it hold together? Thanks Em, Love your blog soo much! @Megan - that might work? Otherwise just leave it out.